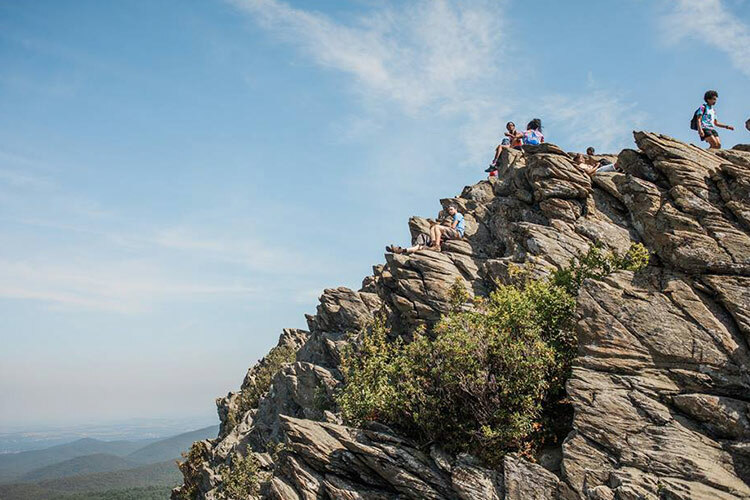 Come To Richmond For The Only Event Worth Hiking For! 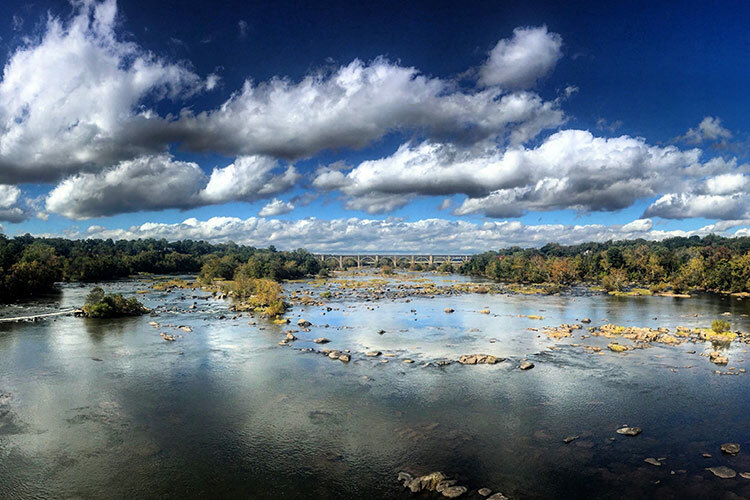 Celebrate some of the best urban trails in the country this Fall by hiking for a good cause with Blue Sky Fund along the James River Park System in Richmond, VA! Transport yourself from downtown to a wild world in a matter of seconds by hopping on the trail and swapping the whirring of honking cars for a wooded oasis and rushing water. Let the cool crisp air fill your lungs as a kaleidoscope of red, yellow and orange floods your field of vision and the river roars nearby. Leaves crunching beneath your feet as you hit the open trail, with not a care in the world except the path ahead. Ah, the sweet sensation of hiking in the Fall. What if this little walk in the woods could also make a BIG impact? 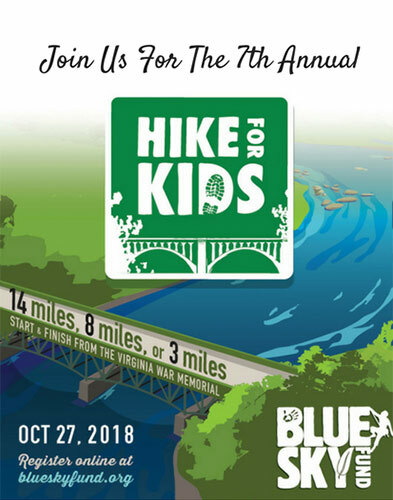 Join hundreds of hikers on Saturday, October 27th for the only event worth hiking for this Fall – Hike For Kids – as you challenge yourself to a 3-, 8- or 14-mile loop around the James River and know that with each step you’re helping to connect more kids in need with nature. Toast to your success on the trail at the post-hike party with Väsen beer, Boka tacos, live entertainment and a chance to win awesome outdoor gear prizes! 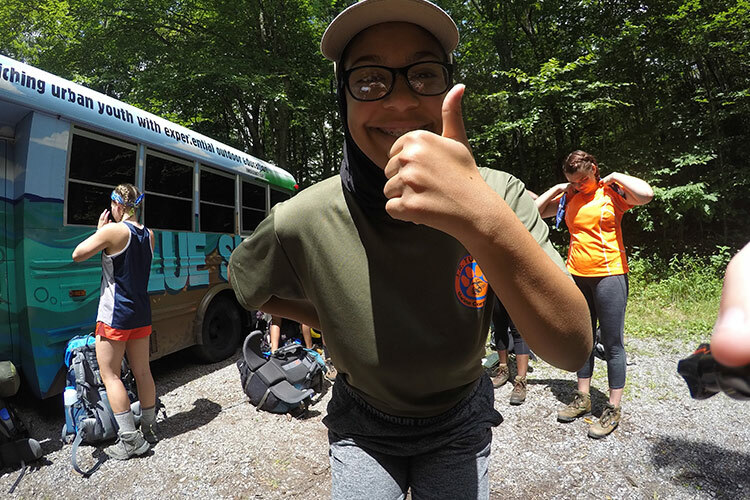 We believe that the outdoors should be a part of every child’s life, and Blue Sky Fund makes it possible for kids living in Richmond’s poorest neighborhoods to experience the joys of the Great Outdoors. Imagine living just a mile from the giant James River, and never visiting it or knowing that it was a place that you were welcome. With both in-school and after-school programming starting in elementary school all the way through high school, Blue Sky Fund provides transformative experiences in nature to over 2,000 students each year. All of the proceeds from Hike For Kids directly supports this outdoor education programming for Richmond’s urban youth. Blue Sky Fund leads school-based, after-school, weekend, and summer programs. Elementary school students can explore the great outdoors through the Explorers program, which helps students engage in their core science requirements through hands-on, field trip experiences in nature. Outdoor Adventure Clubs for middle school students builds character as students are immersed in outdoor activities such as rock climbing, hiking, backpacking, canoeing, kayaking, and camping. 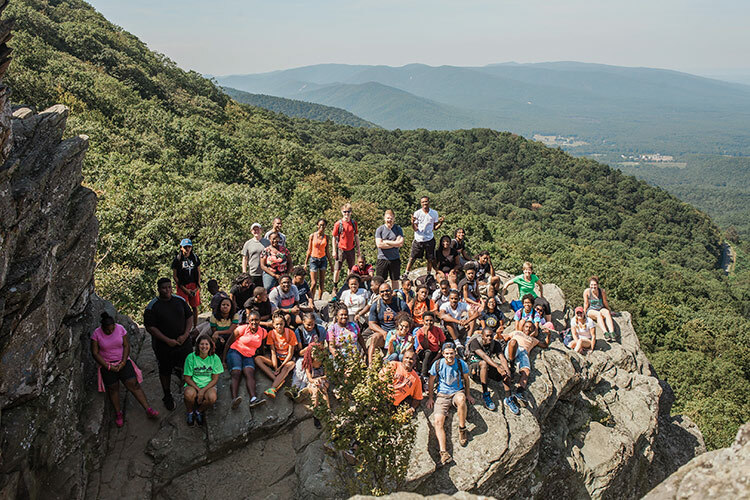 Through the organization’s Outdoor Leadership Institute, a diverse set of high school students bond together to meet the challenges of a week-long wilderness trip and year-round community service opportunities as a team. Hike For Kids is made possible by community sponsors, including Capital One, Dominion Energy, the Children’s Hospital of Richmond at VCU, Blakemore Construction, Blue Ridge Outdoors, One Digital, Riverside Outfitters, Väsen Brewing Company, Health Warrior, Magellan Health, REI Co-Op (Richmond store), and Walkabout Outfitters. Next ArticleCulture Clash: Can the Outdoors Bridge a Widening Sociopolitical Gap?